The Kansai and Kyushu areas of Japan alone account for 16.2% and 10% of Japan’s total GDP respectively. Both of these show high growth potential and are worth consideration for British enterprises seeking business in Japan. West Japan is the area of responsibility of the British Consulate General in Osaka – this area comprises 29 out of 47 of Japan’s prefectures and accounts for 45% of Japan’s total GDP (488tr yen=£2.66tr). Were it a country in its own right it would have a GDP larger than Russia’s (the world’s 8th largest) following UK and Brazil in 6th and 7th place respectively. As a whole, Japan is the world’s third largest economy; therefore this comparison demonstrates the great potential of opportunities to UK businesses in Western Japan. Whilst six of Japan’s ten most populous metropolitan areas are in West Japan, its major economic centres include Kansai and Kyushu. Differing in many respects from East Japan, we can pinpoint Kansai and Kyushu as major economic centres with certain areas of specialisation that may present new business opportunities. The Kansai economy of 7 prefectures is about the same size as the Turkish economy and accounts for 16.2% of Japan’s total GDP. The most populated area in the region is Osaka, which produces about half of the total regional output. The region’s manufacturing sector accounts for 16.6% of overall national output (consistent with regional output) but with strength in electrical/electronic machinery. Kansai’s regional economy is expected to outperform the national average in FY2014 and FY2015, led by stronger net exports (-0.4% vs. -0.9% and 2.0% vs. 1.9% respectively). Exports from the region account for 21.3% of national exports with higher exposure to Asia (67% of all regional exports vs. 54% of national exports). It produces a higher proportion of manufactured products and services than the national average. 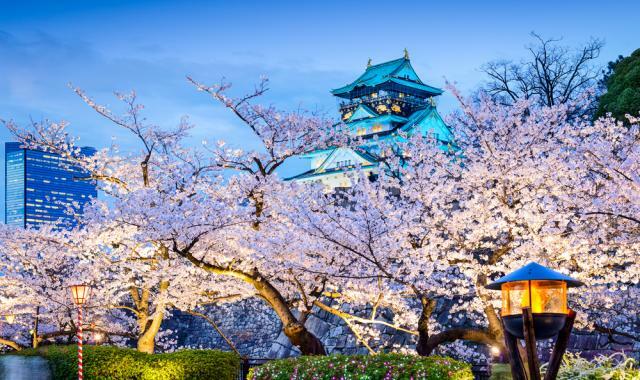 The Kansai area is a crucial part of Japan’s renewed focus on three promising sectors; ‘medical’, ‘tourism’ and ‘womenomics’ as areas with high growth potential. Medical: Kansai is a centre of medical related production with the largest share (29%) of national medical drug production and the second largest share (18%) of medical device production. Its population is expected to age faster than the national average, creating higher demand for pharmaceutical and medical related goods and services. In addition, national exports of both medical drugs and devices are expected to grow to almost four times their current value, exceeding 1tr yen in 2025. Tourism: Kansai International Airport (KIX) is the busiest airport for foreign visitors (more than 4m in 2013) well above Narita and Haneda. If the Japanese Government visitor target of 20 million by 2020 is achieved, their expected consumption in Kansai will double to 540bn yen (£2.9bn), about 1.2% of total Kansai consumption. “Womenomics”: A smaller proportion of women in Kansai work compared to the national average (about 40% vs. 45%). Raising the female labour participation rate to the national average could boost Kansai GDP by 1.8%. Achieving this would stimulate a large demand for child care facilities and related services. The Kyushu economy of 7 prefectures accounts for about 10% of national GDP. This is about the same size as Austria (the world’s 28th largest economy) and just smaller than that of Taiwan. The regional economy is comparatively strong in the sectors of agriculture (19.5% share of national output), IC production (28.1%) and automobile production (13.3%). The regional economy is expected to grow slightly below the national average in FY2015 (1.3% vs. 1.9%) partly due to its higher reliance on agriculture sector despite a higher share of exports (59.3% vs. 54%). Similarly to Kansai, Kyushu also contributes to the areas of ‘tourism’ and ‘medical/health’, however it is also a prominent contributor in promoting clean energy and environment as well as in agriculture. The national Government target is for the clean sector’s market size to grow from 4tr yen to 10tr yen (£54.5bn) by 2020 (according to 2013 Government Growth Strategy). Kyushu University houses top class hydrogen energy research facilities. Such national Government initiatives and leading research facilities should provide a foundation for the sector to expand. The Government envisions the medical/health sector expanding to 26tr yen (£142bn) in 2020 from 16tr yen through its growth strategy. The region is also expected to suffer more than the national average from aging and declining working population, producing higher demand for medical and nursing services. Increasing health awareness could open up further markets for ‘healthy food’, value-added food developed in its strong agricultural base. The Government aims to transform the Japanese agriculture sector into a competitive one and to double agricultural exports by 2020 to 1tr yen (£4.5bn). This policy boost should help the region’s agriculture increase its production especially given its location advantage (close to consumers in growing Asian markets). Kyushu Economic Federation aims to more than triple foreign tourists visiting the region to 4.4m from current 1.3m. The region has plenty of natural resources such as onsens (hot springs) which could be leveraged as tourist attractions. Fukuoka hosts more international conferences in Japan than any city other apart from Tokyo. As Kansai and Kyushu have common sectors with high potential growth, there are areas of opportunity for UK businesses to capture increasing demand in both regions. 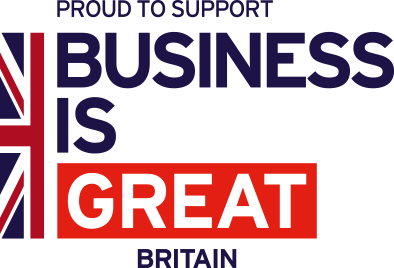 This includes the pharmaceuticals and medical devices sector, an area of longstanding UK strength. Additionally, the private sector in both regions sees the 2019 World Cup and 2020 Olympics and Paralympics as big opportunities for their tourism industry. Connect with us today to understand the potential for your business in tapping into these markets in 2015 and beyond.